Southern Star is a South African bred high alpha, day neutral variety. A diploid seedling selected from Outeniqua and an SA male OF2/93. 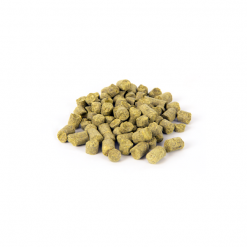 Southern Star Hops is a South African hop, internationally renowned but also ideally suited for typical South African beers. Primarily used as a bittering hop. Alpha acids typically 12% – 14%.